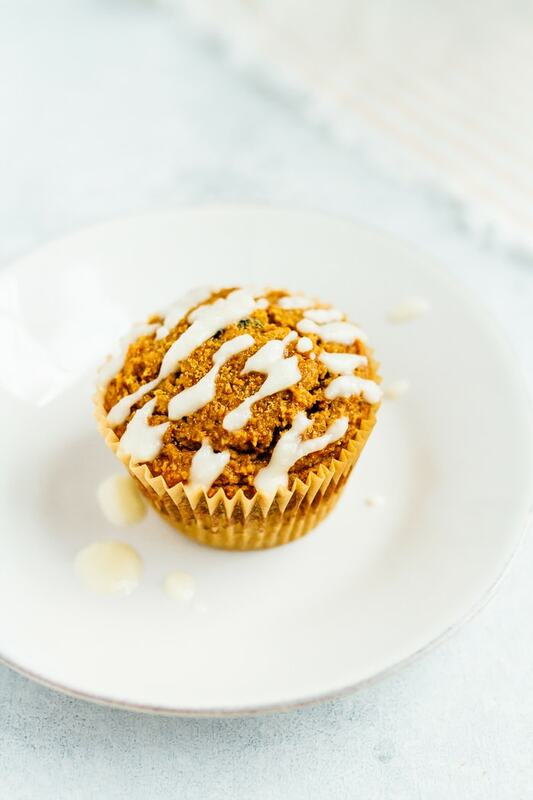 Grain-free carrot raisin muffins made with almond and coconut flour. 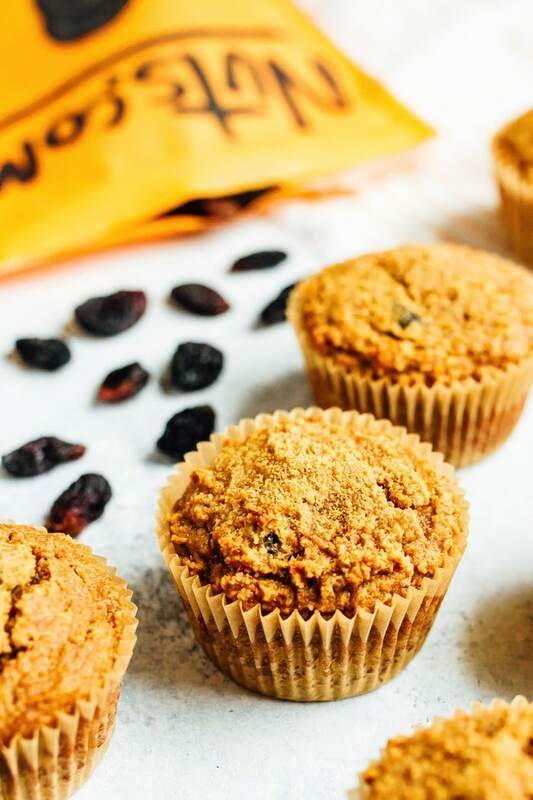 Loaded with cinnamon flavor and studded with raisins, these moist almond flour muffins are sweet without being too sweet and lovely topped with a little coconut butter. Through experimenting with gluten-free baking, I’ve found that my favorite flours are almond flour, coconut flour and oat flour. Mainly because I feel that almond flour and oat flour give the closest texture to regular flour when it comes to things like cookies and muffins. I’ll occasionally buy a gluten-free flour blend for certain recipes, but these three flours are the ones you’ll see used most often here on EBF. 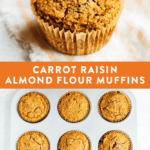 I’m excited because today’s recipe is a carrot raisin spin on my chocolate chip almond flour muffins I posted last year and they’re delightful. Moist, with a light and fluffy texture and the most delicious cinnamon raisin sweetness. For this recipe I used nuts.com products — I love their organic blanched almond flour for baking and their royal raisins are HUGE. It’s hard to tell from there photos, but they’re bigger than your standard raisin and they taste amazing. We all know that when it comes to cinnamon raisin baked goods, the raisins are the best part so the bigger they are, the better. At least that’s how I see it. 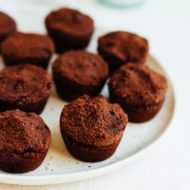 As an added bonus, the muffins are loaded with good for you ingredients, grain-free, gluten-free and paleo. And I have to mention, that they’re incredible with a little coconut butter drizzled on top! Highly recommend the coconut butter drizzle!! 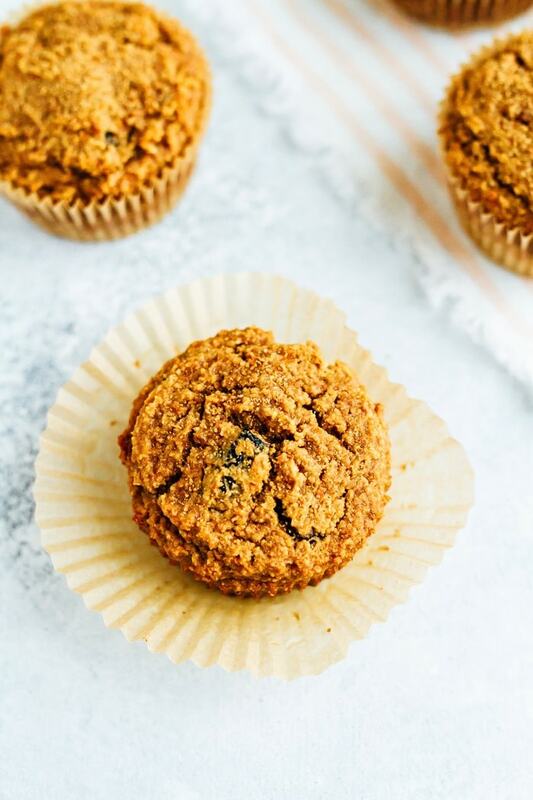 Grain-free carrot raisin muffins made with almond and coconut flour. 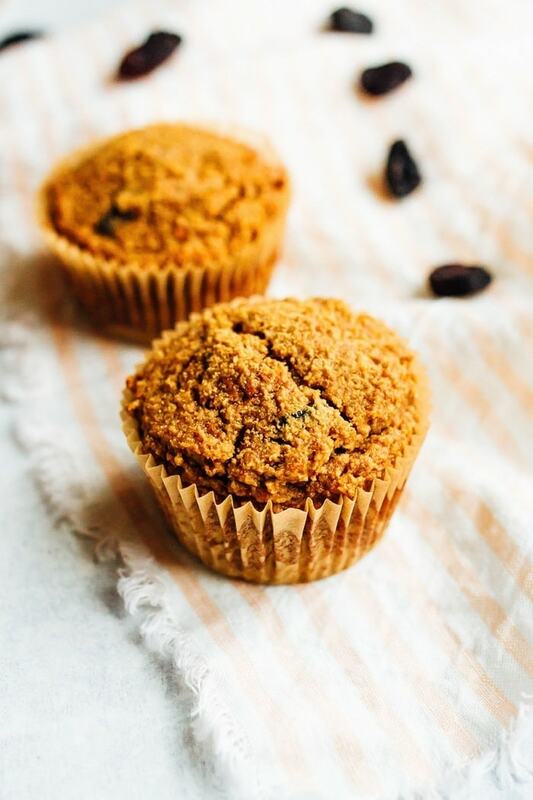 Loaded with cinnamon flavor and studded with raisins, these moist muffins are sweet without being too sweet and lovely topped with a little coconut butter. Combine dry ingredients in a medium bowl: almond flour, coconut flour, cinnamon and baking soda. In a large bowl, whisk together eggs, almond milk, coconut oil, honey and coconut sugar. Stir in grated carrots. Add dry ingredients into the bowl with the wet ingredients and stir until just combined. Gently fold in raisins. Pour or scoop dough into a muffin tin with lightly greased silicone liners or regular cupcake liners. Bake for 30 minutes or until the tops are golden brown and a toothpick comes out clean. Cool completely and enjoy! Let the muffins cool and enjoy. Top with frosting or coconut butter if you wish. This post is sponsored by nuts.com, but as always opinions are my own. 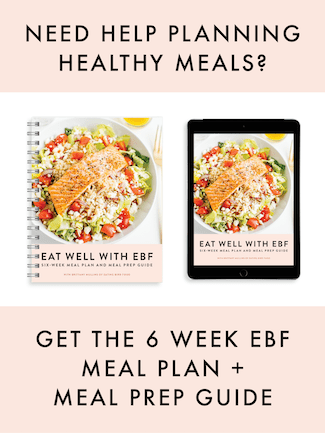 Thank you for supporting brands that make EBF possible. Yes!! You will love these with the coconut butter glaze. They’re soo good!! Thoughts on replacing the coconut sugar/nectar with mashed banana and/or applesauce (because I’m lazy and ran out of coconut sugar)? Also, thoughts on replacing the honey with maple syrup (mostly because I feel like maple syrup would taste really good)? Hi Shannon. I think maple would be a fine sub for the honey. I’m not 100% sure about the mashed banana or applesauce for the coconut sugar/nectar because I haven’t tested it. If you get a chance to try it, please let me know how it turns out!! Wow, those look absolutely delicious!! These look delicious! I just recently discovered my son has a pretty severe allergic reaction to cinnamon. Any suggestions on a replacement? Thanks!!! Hi Rebecca. I think you can just leave the cinnamon out. Maybe at a teaspoon of vanilla extract for extra flavor. Muffins are my favorite. Thanks for the recipe. 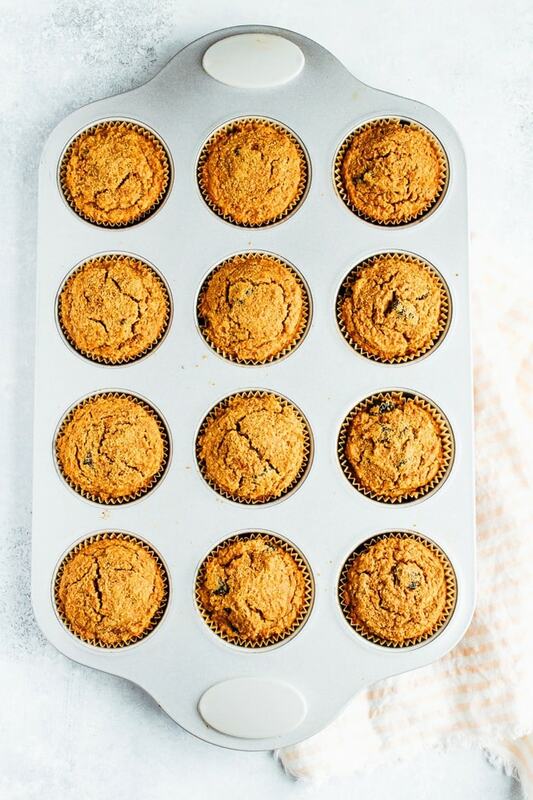 Never knew that carrots can also be used in muffins. 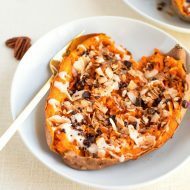 Can’t wait to try, can I use oat flour instead of Almond? We have a tree nut allergy in our home. These look delicious! These look so yummy! I haven’t baked with almond flour before and I’m looking forward to giving it a try! I just made these the other day, and they’re so good! I’ve had tons of compliments. Thanks for sharing! 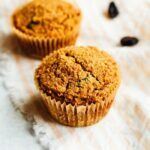 I’ve never made muffins with almond flour before, so I must say I’m curious to try. Thank you for sharing the recipe with us, it must be delicious! 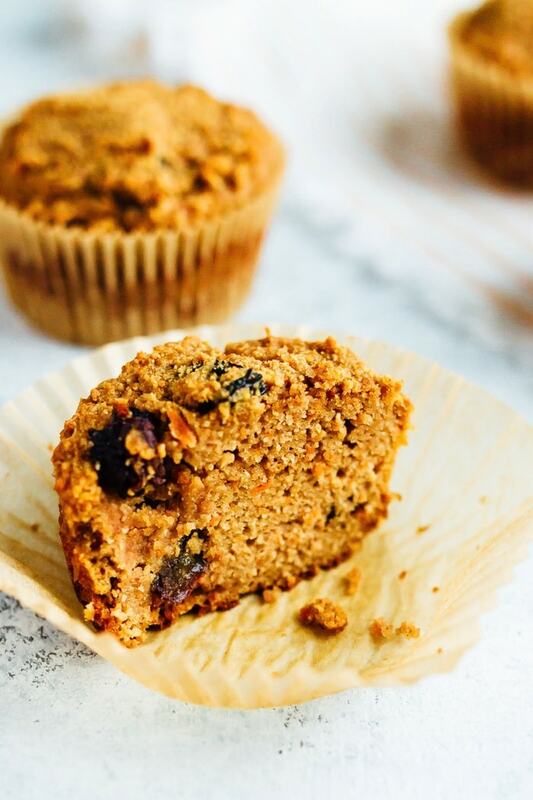 I love muffins and these look so delicious with all those healthy ingredients. I really like baking with coconut flour. I can’t wait to make these. I never leave comments on blogs but these are that good. They are amazing. I’ve made them a bunch of times already and I baked it in a cake pan for my parents 54th anniversary. It came out perfect. 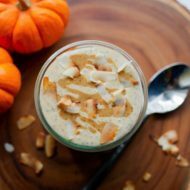 Is almond flour the same as pure ground almonds? And if not, could I use ground almonds (they are extremely fine and look like flour)? Also could I skip the coconut nectar completely? I’m meant to be on a limited sugar diet so the maple syrup would be the only thing I can have. These sound wonderful. Can I leave the raisins out without affecting the texture and moistness?